Belleville Lake can be found in Van Buren Township in Michigan, and if you are looking at trying to do a spot of fishing or being on a boat when you are in the Canton area, then this could be the kind of place you have always been looking for. In fact, it is going to be one of the best opportunities available to you in the area. The lake itself covers a total of two square miles, and the entire thing is man-made which is quite impressive. It was created by adding a series of dams to the Huron River and dates back to 1925. 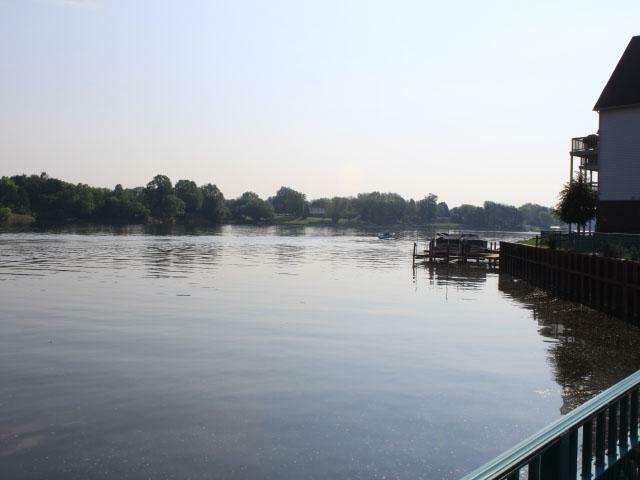 Since then, it has been able to turn itself into a popular spot for people that love fishing and boating, so if those are interests that excite you, then checking out what Belleville Lake has to offer is going to prove to be essential. The authorities that run the lake do carefully monitor the species of fish that you will be able to find in the lake. Also, you need to check for any conditions related to fishing as there can be limitations on what you are able to catch at any given time. Paying attention to this in advance is certainly going to have an impact on the experience that you will then be able to have at Belleville Lake. The quality of the water at the lake is also known to be pretty good. In fact, that is not just some sales pitch as it is the conclusion of an EPA report that was carried out in 2002. However, do be aware that there can be an algae bloom at different times depending on the conditions, so it might not even up being as perfect as you would like it to be. Overall, Belleville Lake is going to prove to be the perfect location for you to just chill out for a bit and allow yourself to spend hours without a care in the world. Getting there from Canton is easy to do, and there is every chance that you will end up spending the entire day there as you lose track of time and try to catch those elusive fish.